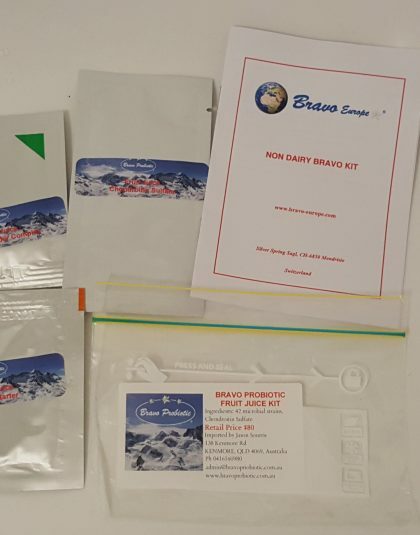 Non-Dairy Bravo Probiotic Fruit Juice Ferment Kit – makes 6 x 1Lt. Save…get 6 for the price of 5! 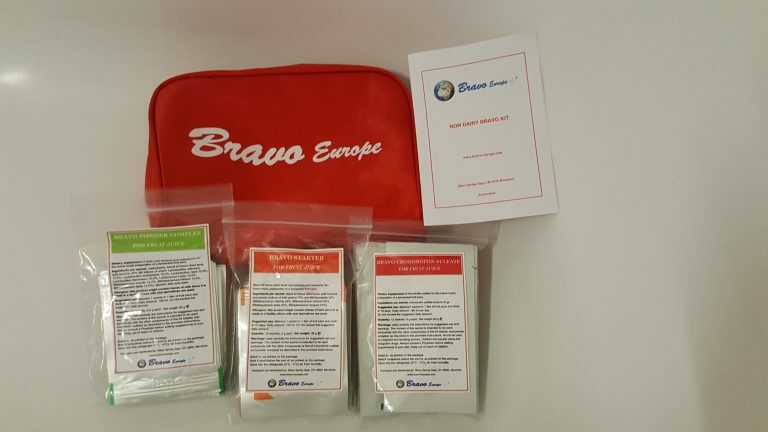 Provides you a 6-12 week course of probiotics to boost your immune system and recolonize your gut! 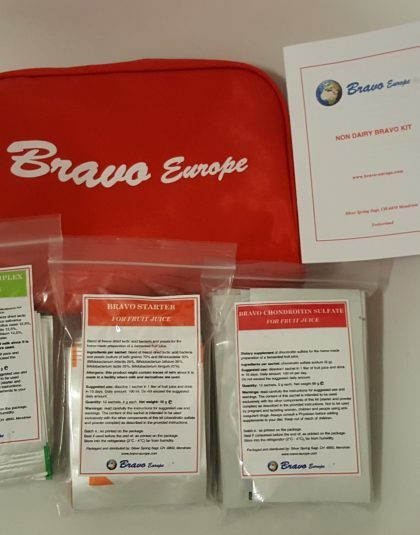 This kit allows consumers to simply and conveniently make the Bravo Probiotic Fruit Juice Ferment in their own home and is more cost effective as you get 6 for the price of 5 singles. 6 x 2g sachets of Probiotic Complex (80 billion organisms per serving). 6 x 4g sachets of yeasts and active cultures. Makes: 12 Litres of Non-Dairy Bravo Probiotic MAF. 1 Litre (US Quart) of non-chlorinated water (for example mineral still water). Consume: Up to 100mls daily. (1 Litre will last 10 days). The “best before” date on the kit is for one year after manufacture.